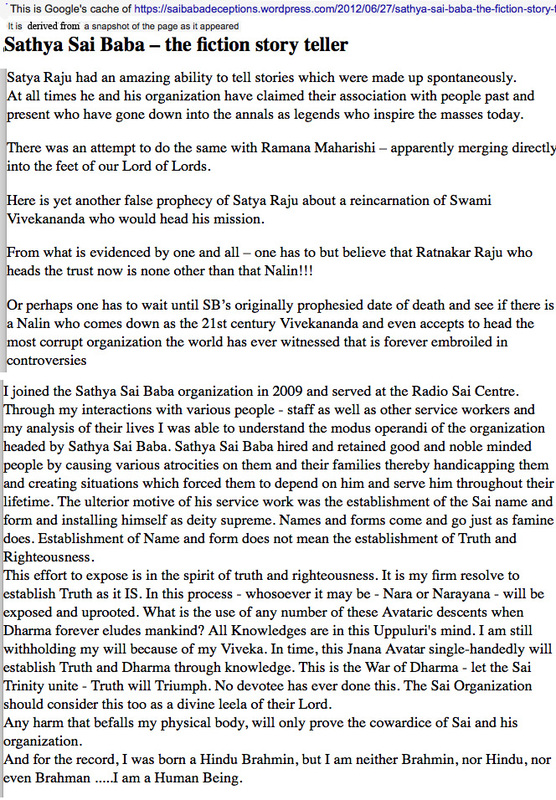 Sathya Sai Baba’s inscrutability and dark side – A confirmation ? 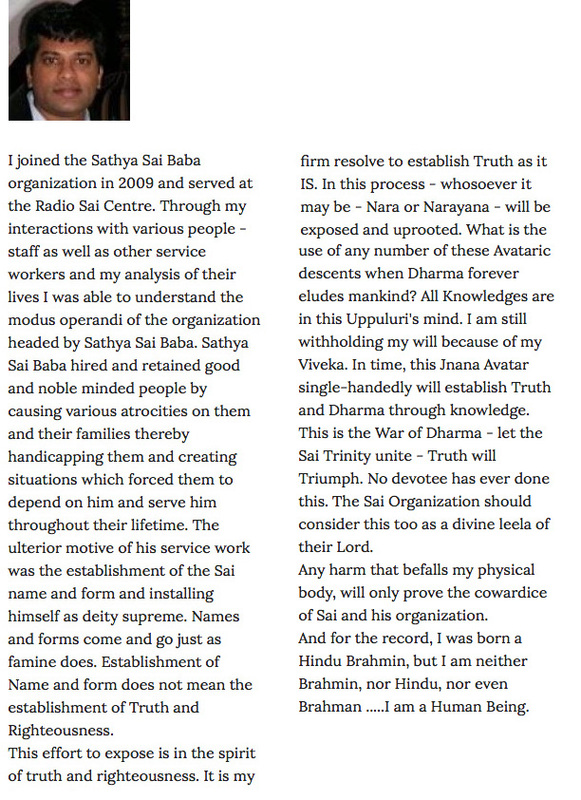 Earlier posts from Robert Priddy have pointed out that Srikanth Uppuluri, who was at first an enthusiastic follower of Sai Baba, later turned out to be a conscientious researcher of what was really true, or more, what was really untrue about the world of this 'godly prophet'. 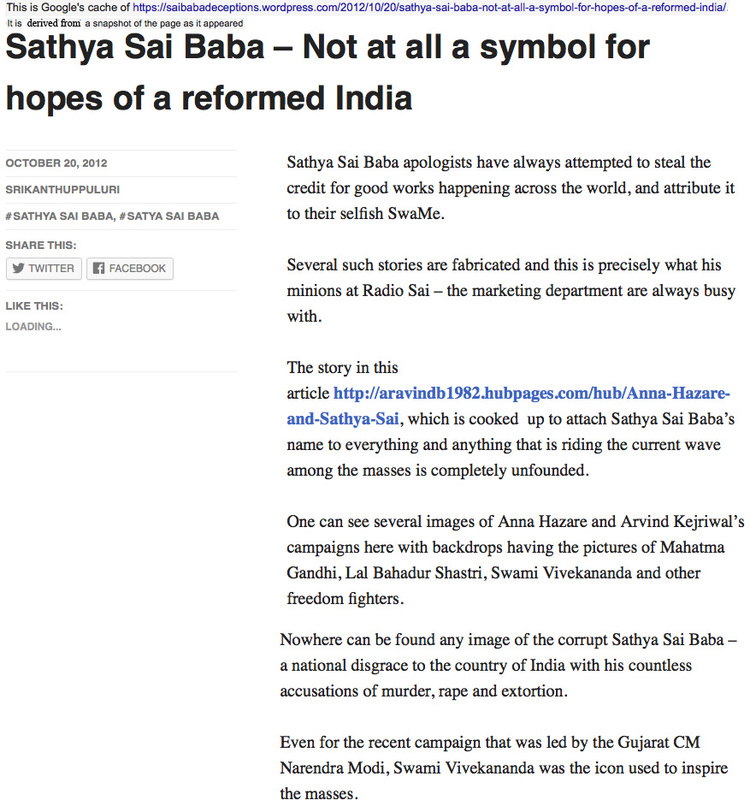 Uppuluri's blogs have vanished, but the memory of Google cache is so wide, that we could finally trace these important contributions to the worldwide internet achievements on the Sathya Sai Baba expose. 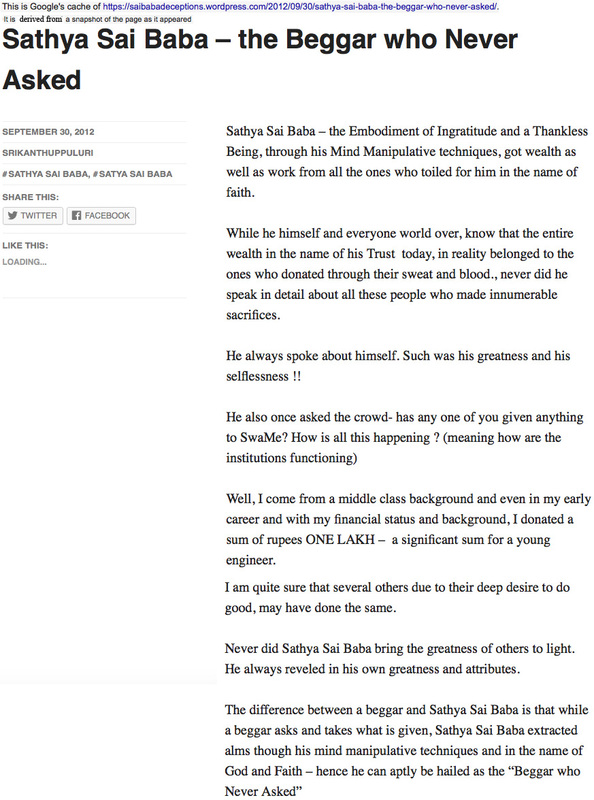 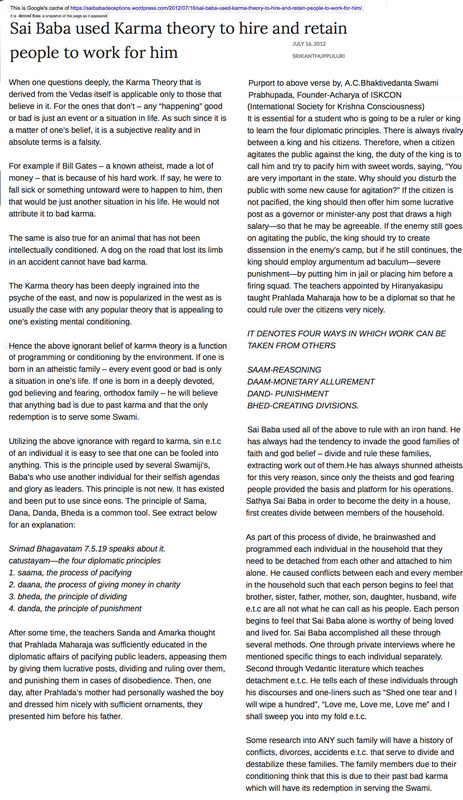 'A brilliantly succinct and entirely correct evaluation of Sathya Sai Baba’s main agenda – to appear to be good and be doing good – is found at Sathya Sai Baba is unfathomable, incomprehensible? 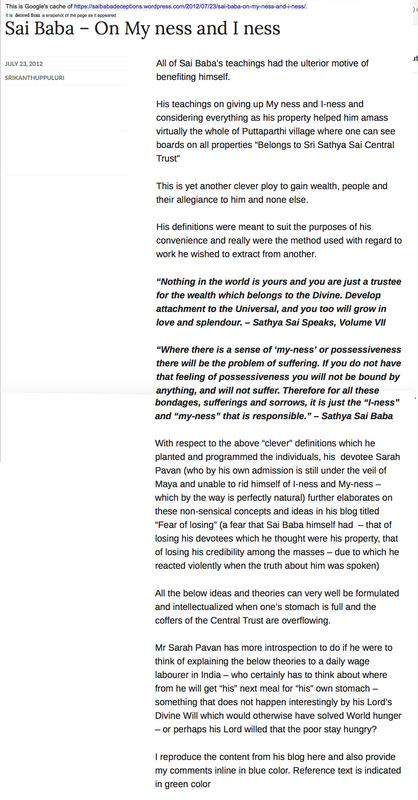 He relied on the widely-held assumption that people who appear spiritual and preach spirituality always appear to be good, but what good he seemed to do was not done by him, but by others who he used to bolster himself.